Please consider making an optional donation to Blessings in a Backpack. 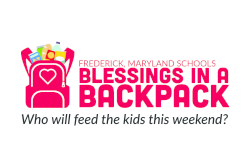 Blessings in a Backpack, Frederick is a local chapter of the national 501(c)3 nonprofit organization. Through an all-volunteer network, BIAB mobilizes communities, individuals, and resources to provide food on the weekends and over school breaks for school children who might otherwise go hungry when school meals are unavailable. BIAB provides weekend backpacks of food to children who depend on school meals as their primary source of nourishment Monday through Friday. Every Friday, more than 16 million American children leave school uncertain if they will have food to eat over the weekend. That’s 65 hours from lunch in school on Friday to breakfast Monday morning…65 hours without proper nutrition…65 hours! In Frederick County, more than 11,000 children (27% of all students) are fed by the Free And Reduce-priced Meal program every week, but, “What do they do on the weekends?” The food provided by BIAB offers a greater opportunity for these children to return to school better prepared to participate and learn. BIAB Frederick currently serves 2,500+ children in 19 local schools. 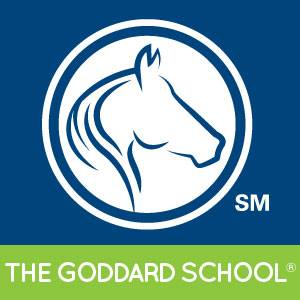 It costs only $100 to feed a single child each weekend for an entire 38-week school year and 100% of the money raised is used to feed local Frederick children. The more money we raise, the more children we can feed.